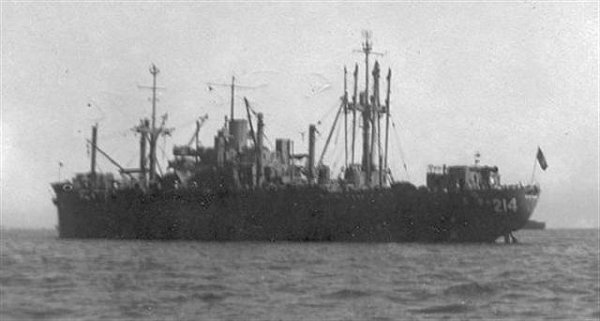 Laid down, 30 June 1944, as a Maritime Commission type (VC2-S-AP5) hull under Maritime Commission contract (MCV hull 562) at Permanente Metals Corp., Yard No. 2, Richmond, CA. 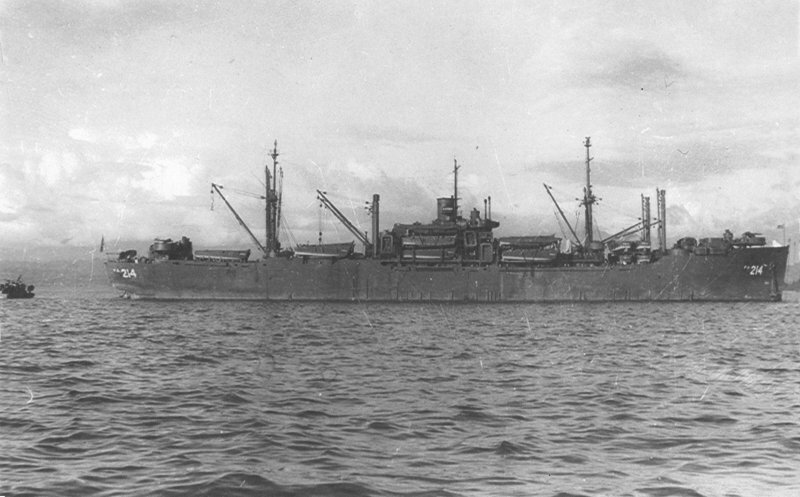 Decommissioned, 29 July 1946, at Mare Island, CA. Custody transferred to the Maritime Administration (MARAD), 26 August 1958, for lay up in the National Defense Reserve Fleet, Suisun Bay, Benecia, CA. 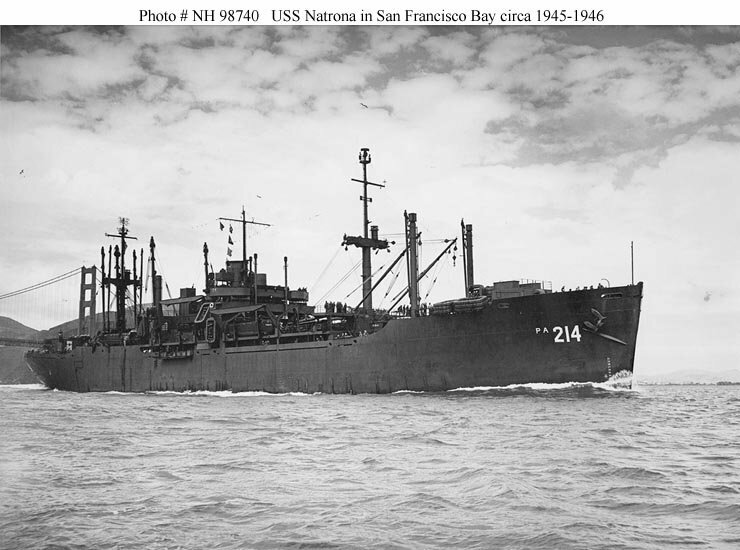 79k USS Natrona (APA-214) in San Francisco Bay, in late 1945 or early 1946. The missing gun tub on the bow indicates that this photo was taken after all of her armament except two 20mm guns was removed, an action taken before late January 1946.